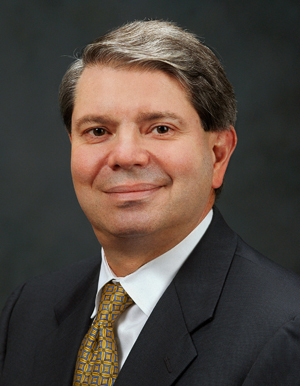 Comptroller General and Head of the U.S. Government Accountability Office (GAO) Gene L. Dodaro, presented to the Academy’s board of directors at its May meeting in Washington. Dodaro discussed systems and processes ensuring objectivity of all GAO work, overall budget environment in the near and long term, debt held by the public under two fiscal policy simulations, the GAO’s high-risk list, limiting the federal government's fiscal exposure by better managing climate change risks, national flood insurance program, improving and modernizing federal disability programs, and modernizing the U.S. financial regulatory system. Dodaro said credibility is GAO’s most important asset, which resonated with Academy leadership. The Academy held a Hill briefing to present the changes coming in 2014 to health insurance premiums stemming from the Affordable Care Act (ACA). Presenters discussed several factors affecting premium changes that also are outlined in the issue brief, How Will Premiums Change Under the ACA? These factors include: effectiveness of the mandate, plan generosity requirements, employer responses, differences from current state rules, and individual risk characteristics. Five years have passed since the U.S. Qualification Standards (QS) were last revised. To determine if there is a need to start the process of revising the QS, the Academy’s Committee on Qualifications, with the approval of the Academy’s Board of Directors, will be undertaking a review. The committee is asking all actuaries and the public to provide comments by July 31, 2013. Learn more about what areas are of particular interest and how you can submit comments. Visit the Academy board election page to see the slate of officers, led by Mary D. Miller as president-elect, to be elected by the Academy Board in October. There is also information about the ongoing Nominating Committee process to fill four regular director positions that will be open for election in the Academy’s third online election in the summer. The deadline for submitting regular director nominations directly to the Nominating Committee is June 7. After that, candidates who would like to be considered by the Nominating Committee will need to submit petitions to do so. Are you looking for a great way to share your skills and expertise? Or for more ways to enrich your actuarial career or to increase access to professional development opportunities? Join more than 1,000 other Academy members by becoming a volunteer. Through their objectivity and dedication, Academy volunteers make a difference, gain exceptional understanding of public policy issues affecting actuarial work and practice, deepen and expand their expertise, and make lasting professional and personal connections. Take this quick survey to find out which volunteer opportunity may be right for you. Hurry, deadline is May 24! The Life Practice Council submitted a comment letter to the NAIC Principle-Based Reserving Implementation (EX) Task Force praising additional language in the April NAIC PBR Draft Implementation Plan and offering assistance with evaluating and updating the PBR methodology. The PBR Strategy Subgroup submitted an additional comment letter to the NAIC Principle-Based Reserving Implementation (EX) Task Force on its legislative brief outlining the potential impact of PBR. The Health Practice Financial Reporting Committee submitted comments to the NAIC on its proposed modifications to the Maintenance Submission Form that addresses an Accounting Standards Update surrounding fees paid to the federal government by health insurers. The Academy’s new issue brief, How Will Premiums Change Under the ACA?, was the subject of stories in multiple media outlets this week, including BenefitsPro and Insurance Broadcasting. An Examiner.com story on pension reform in Illinois cited the Academy’s position that an 80 percent funded ratio fails to provide a sufficient measure on its own of a plan’s financial health.